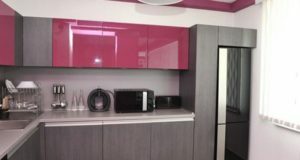 The feel of the kitchen changes subtly with the proportion of the colours used in tandem. A large airy and well lighted kitchen can afford to have slight fussy touches like pink ovens, stoves, cabinets and chimney. 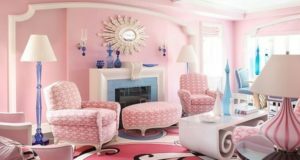 These overtly pink touches can be balanced with a dark gray wall and charcoal gray floor.